The New York Knicks suffered a disastrous loss to the Los Angeles Lakers. 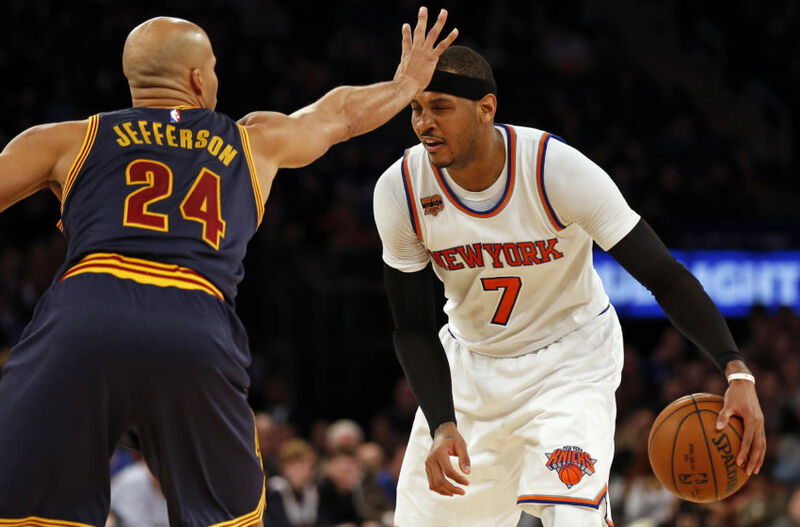 The loss signaled that it’s time for the Knicks to shake things up. As much as I wanted to see this team make a run at the playoffs, it’s time to shake things up. Prior to the loss to the Los Angeles Lakers, the New York Knicks were 22-30. Despite their record, the Knicks were just 1.5 games back of the No. 8 seed in the Eastern Conference. The Lakers were coming into this game with 12 straight road losses and an overall record of 18-35. The Knicks were favored to win this game, but instead came out and stunk it up from the very beginning. The Knicks led the Lakers 6-4 in the early stages of the game, but never led again. Brandon Jennings: "We all make millions of dollars playing this game so the least we can do is go out there and play hard every night." Throughout the season, Knicks fans have seen a wide array of losses by the Knicks. A buzzer-beater loss to the Milwaukee Bucks, a quadruple overtime loss to the Atlanta Hawks, and an in-and-out 3-point attempt by Carmelo Anthony in the final seconds of the Suns game. However, last night’s loss wasn’t a competitive game that was lost in the final minutes due to lack of execution. Last night’s loss was a result of minimal effort, and that is unacceptable. Carmelo: "Pride, effort, however you want to put it, it just wasn't there. My word is effort. Coach's word is pride. It just wasn't there." Whether it was a lack of pride or lack of effort, it’s clear the Knicks’ starters have neither. Anthony, who has been heckled for the past few weeks about potential trade destinations, was the only Knick with over 20 points. He had 26 points on 10-17 shooting, three rebounds, five assists, and a +/- of -9. Only Willy Hernangomez and Justin Holiday had a +/- over zero. Derrick Rose made his return and was virtually non-existent. He scored just five points on 2-of-8 shooting and had four rebounds, three assists, and a +/- of -12. Kristaps Porzingis continued to struggle from the field, scoring 16 points on 5-of-14 shooting, and adding nine rebounds, two blocks and a +/- of -17. This team wears their heart on their sleeve, and the body language last night was atrocious. To come out with that intensity against an inferior team at home, knowing you’re just 1.5 games back of a playoff spot, is embarrassing. Some fingers will certainly be pointed in Anthony’s direction following a loss like this, considering he’s the leader of this team. 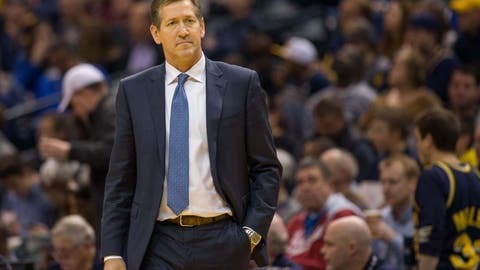 Other fingers will be pointed in Jeff Hornacek’s direction for allowing his team to come out and play this lackadaisical. The remaining fingers will be pointed at Phil Jackson, who has been absolutely silent throughout this circus of a season. Last night’s performance speaks volumes to the current morale of this team, and it seems like certain players have given up. If so, the Knicks are in desperate need of change. The Knicks should trade Carmelo Anthony because the New York Knicks are holding him back, not the other way around. There’s something about the culture of the Knicks that drains you, and leaving the Knicks is sort of like a rebirth for a majority of players. Zach Randolph, Trevor Ariza, Danilo Gallinari, J.R. Smith, Iman Shumpert, and Tim Hardaway Jr. are all players that excelled once leaving the Knicks, just to name a few. Can you imagine Anthony in a starting lineup with Chris Paul, J.J. Redick, Blake Griffin and DeAndre Jordan? I would mention the possibility of Anthony in a Cleveland Cavaliers starting lineup, but given LeBron James’ comments last night, it seems like a long shot, at best. From Anthony’s perspective, he should want to waive his no-trade clause. While I understand his desire to see this through, it’s in his best interest to be traded to a contender if winning a championship is truly what Anthony wants. For the Knicks, trading a 32-year old-Anthony is the best long-term decision. With Rose’s $21 million coming off the books in the offseason, trading Anthony would free up another $26 million. In total, that gives Jackson about $47 million in cap space to work with. Also, trading Anthony would likely end the Knicks’ playoffs hopes. Depending on where the Knicks end the season record-wise, they could be looking at a top-15 draft pick. 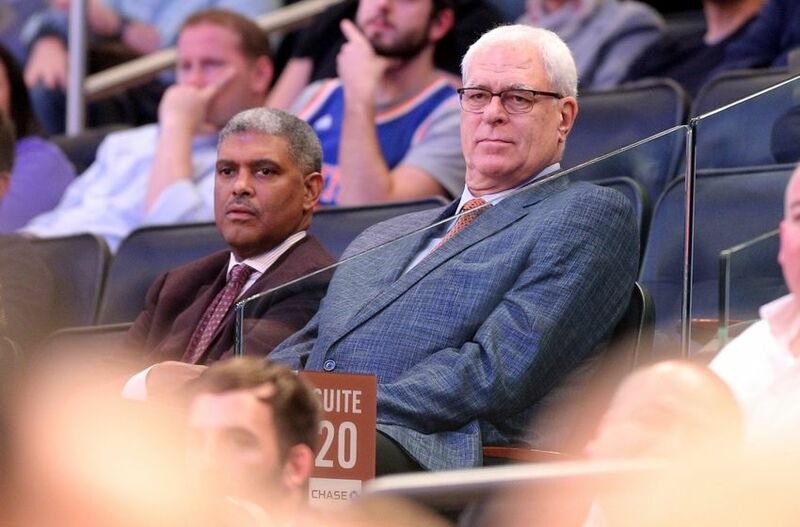 If the season ended four days ago, the Knicks would be picking 11th overall. Considering the Miami Heat are on a winning streak, and the Knicks have lost two games since February 2, the Knicks would be picking at No. 10 if the season ended today. With most analysts dubbing this upcoming draft “stacked,” it’d be in the Knicks’ best interest to trade Anthony. If the Knicks are losing this often with Anthony, it makes much more sense to lose without him and his $26 million dollar cap hit next season. If Jackson is serious about “rebuilding,” Joakim Noah has to be dealt as well. 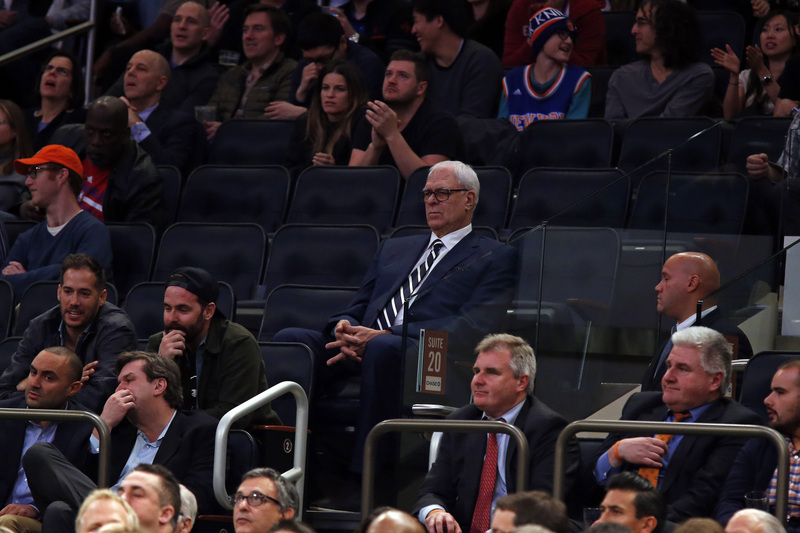 Phil Jackson has been sporadic as New York Knicks team president. It spans from drafting Kristaps Porzingis with the fourth overall pick and signing Willy Hernangomez in the offseason to drafting Cleanthony Early and giving Noah a four-year, $72 million contract. While a large majority of teams won’t even entertain trade talks involving Noah, there may be a team or two who are one defensive stopper away from making a run at a title. The Milwaukee Bucks seem unhappy with Greg Monroe and have been looking to trade him. The Charlotte Hornets have Frank Kaminsky and Cody Zeller at center, none of whom are known to be exceptional defenders. The Houston Rockets could benefit from a rebounding center like Noah, who can help grab more offensive rebounds off three-point attempts, which the Rockets lead the league in. However, given his play this year, along with his injury issues, Noah’s best years are behind him. Opposing teams are aware of this, and would never take Noah’s contract by itself. So, unless Jackson can work a miracle and make a solid addition to a potential trade involving Noah, it seems like the Knicks are stuck with that contract. It seemed like Jackson was very involved in the beginning of the season, partaking in interviews, and even showing up to Knicks practices. If you watched the New York Knicks this season, you know Jackson’s statement was accurate. Unfortunately, it seemed like this interview was the beginning of the collapse of the Knicks’ season. Since his December 7 interview with CBS Sports, Jackson has disappeared. The Knicks’ record at the time of interview? 11-9. The Knicks’ record since the interview? 11-22. Jackson has a responsibility to speak to the media and give an update on the situation. 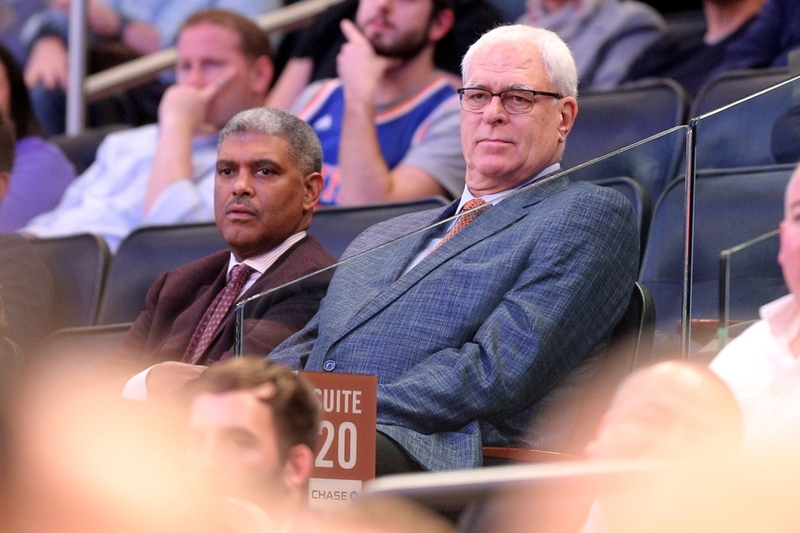 Mike Breen, and Clyde, both say on-air that Knicks fans "need to hear from Phil Jackson." This team has no stability, and everyone seems preoccupied with the outside trade rumors. The worst part of the Knicks’ season? The inconsistency. The constant state of limbo. Since the trade rumors surfaced, the Knicks have been a collaborative train wreck. Will Anthony be traded? Will he waive his no-trade clause? 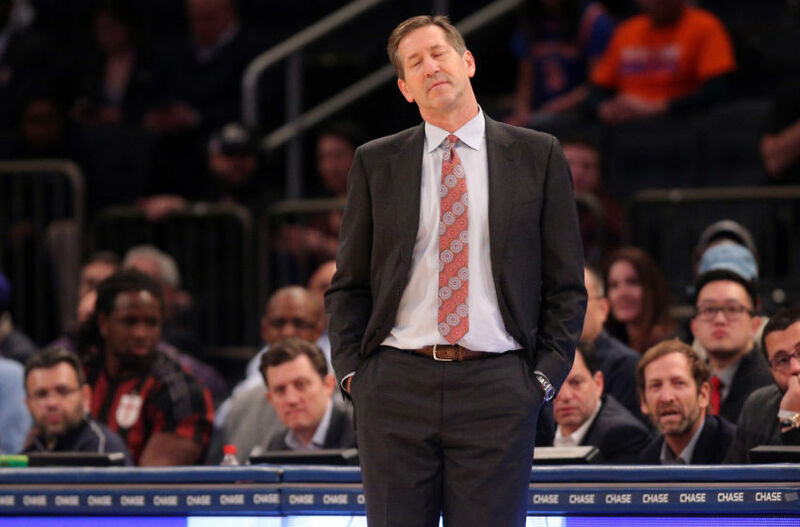 Is Hornacek’s job safe? Who will Hornacek start today? At the end of the day, players are paid to play basketball and not worry about the rumors. However, these guys are still human beings, and having your worth questioned in the media on a day-to-day basis is quite draining. It’s time Jackson relieved some anxiety within the Knicks organization by speaking to his team and coaches. 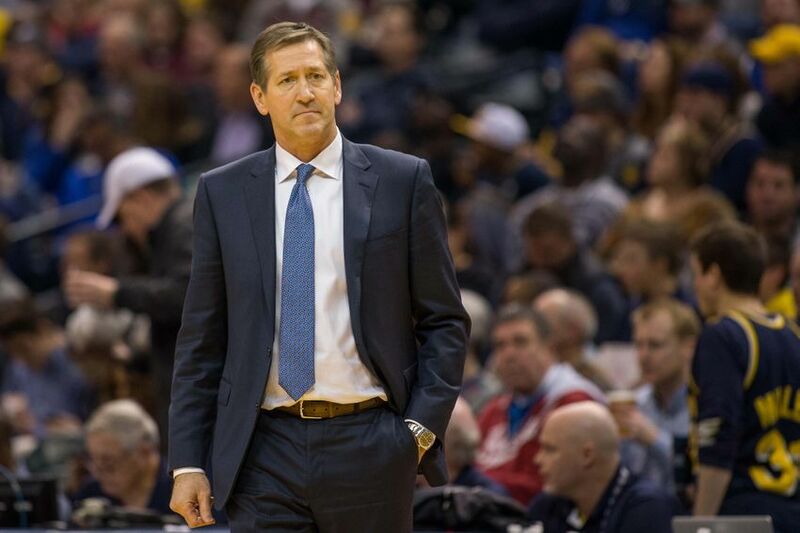 Although it may be unreported, when is the last time that Jackson and Hornacek spoke? Thankfully, that day has finally come. Hornacek’s opinion on the Anthony drama should be a determining factor to Jackson. Hornacek coaches this team on a daily basis, and sees how these guys respond in practice. Are other players unhappy with Anthony? Do they feel involved on offense? The media can speculate all they want, but only the players and coaches know the real truth. It’s safe to say that Hornacek is disgusted with his players after their loss last night, emphasizing the effort of the starting unit. 53 games into the season, effort should not be a problem. With all that’s transpired in the past four-to-six weeks, Jackson owes the players, the coaches, and the media an explanation as to what exactly he plans to do with this team going forward. Jeff Hornacek accepted Phil Jackson’s offer to come coach the New York Knicks this past offseason and was walking into a situation of severe uncertainty. Derrick Rose, Joakim Noah, Brandon Jennings, Justin Holiday, Willy Hernangomez, Mindaugas Kuzminskas, Ron Baker, Courtney Lee, and Marshall Plumlee were not on the team last year. Carmelo Anthony, Kristaps Porzingis, Kyle O’Quinn, Sasha Vujacic, and Lance Thomas were on the team last year, but were forced to learn a new scheme under Hornacek. Just 53 games into his tenure, the Knicks are 22-31, and in total disarray. However, without the opportunity to establish some sort of culture, it’s way too early to give up on Hornacek. If the starting lineup is giving up on you, fingers are usually pointed at the coach. In New York, it happens almost every year. If you want proof that Hornacek is a capable coach, look to his bench production. When the bench comes in, the defense tightens up, Jennings pushes the pace, and the ball movement increases. Why? Players know if they defend at a high level, there will be opportunities to score on the offensive end, since the scheme is predicated on ball movement. On most nights, the bench has a higher +/- than the starters. The Knicks’ last win? Against the Brooklyn Nets, when Anthony, Lee, and Noah were benched in the fourth quarter in favor of Hornacek’s second unit. It’s Jackson’s job to give Hornacek players that want to compete at a high-level every night. Truth be told, it shouldn’t have to be taught. Players should want to compete. Since they don’t, it’s time Jackson and Hornacek have a sit-down meeting and discuss potential moves that will help the Knicks in the future, starting with Anthony. 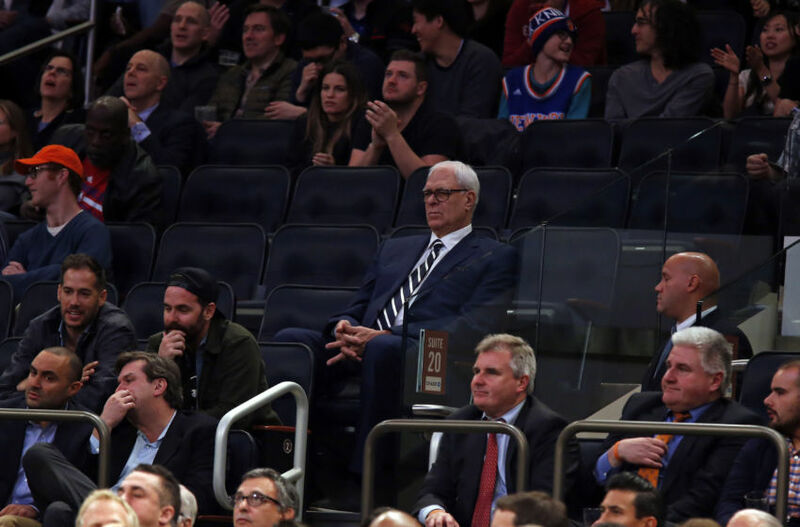 Fans who pay an arm-and-a-leg to attend a Knicks game at Madison Square Garden shouldn’t be subjected to the mediocrity that was on display last night. One way or another, Phil Jackson has to make a decision. Either he unloads Carmelo Anthony and builds for the future, or keeps Anthony until the end of the season. The sooner Jackson can accomplish one of those goals, the sooner the Knicks can put the rumors to rest and start focusing on winning basketball games. At this point, the Knicks and Los Angeles Clippers have been negotiating for the better part of a week now, and have to be far along in their trade discussions. Make the trade happen or let it go. Ironically enough, the Knicks host the Los Angeles Clippers at Madison Square Garden tomorrow night. Will it be Anthony’s final game in a Knicks uniform before waiving his no-trade clause and accepting a trade to LA? Must Read: What would the pros and cons be of trading for Kevin Love? The time for change has officially arrived.